Well, it's not quite the release date and price you were hoping for, but it's definitely something. 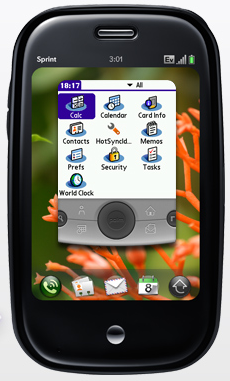 Today Palm -- via a short keynote at the Web 2.0 Expo -- announced that the company would begin taking names and numbers on the webOS dev site for potential developers who will receive an "early look" Mojo SDK. And that's starting right this moment... as in now. That news alone would be big, but reps we spoke with said that the SDK would be made available to developers that the company will be cherry-picking as early as tomorrow. So if you were looking to get into the Pre app game, here's your first big chance. In addition to the SDK news, Palm is introducing a new set of "integrated cloud services" for developers (called Mojo Messaging Service) which will use a standardized publish / subscribe system to allow data to be bounced from the "cloud" to devices. Basically, it looks like this is Palm's play for some of that push buzz -- though the indication is that this service can and will be used for bigger tasks as well. Finally, the company announced that third-party developer MotionApps will be making a Palm OS emulator available for purchase to coincide with the launch of the Pre. The application will be utilize the mass storage mode of the device to allow for drag-and-drop of PRCs, though according to the press release, the emulator "won't be able to leverage core webOS functionality," meaning that you probably can't expect pure bliss across all of your applications, particularly those with roots that go deeper into phone databases and the like. What's interesting to note about this app is that it's being built on more than just the standard webOS SDK -- an event which Palm called "unique." They went on to assure us that this was a one-off to allow for emulation, but we're thinking they might want to reconsider that policy by factoring in the clamor for serious gaming on a device like the Pre. You can check an image of the emulator after the break. So, no pricing, no release date, but lots of movement on the developer front -- which is big news if you're a company trying to launch a completely new operating system. Still, we're getting a bit antsy with all this waiting... it might be time to throw everyone a bigger bone than that tired "first half of 2009" line, guys.